My main mission this year is to sort my teeth out. I have spent my entire life hating my teeth and feeling so self conscious about them, but I’ve never been able to afford to have them sorted out. When I say sorted out – I have overlaps and an overbite, and I just hate the fact that all the women in my family have a ‘fang’ tooth that sticks out. Stupidly I avoided a brace in my teens, and really regret it now. And with a wedding on the horizon and the thought of my wedding photo’s showing me too afraid to smile with my mouth open – well, I finally took action. This year I’m working with some amazing brands and finally I’m taking control of something that’s made me embarrassed for years. The first step in this journey was to whiten my teeth and give them a great colour that would boost my confidence levels. 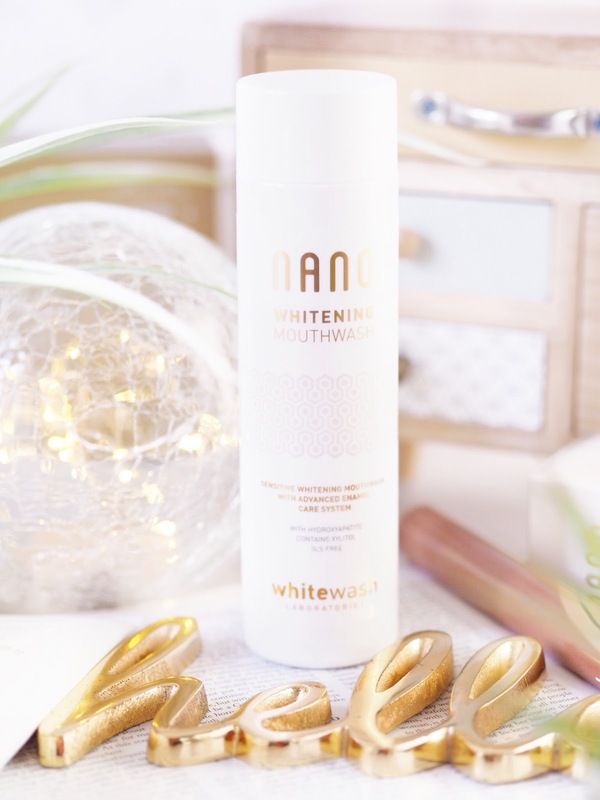 My journey to whiter teeth has been in collaboration with WhiteWash Laboratories and their range of Nano teeth whitening products. I should start by saying that I’ve always been so intrigued by home teeth-whitening, but always worried about the sort of results I could achieve on my own – I’m no dentist after all! However what gave me the confidence to use the Nano products was that everything in their range was formulated and developed by UK dentists. So there’s experience and knowledge in their range that just isn’t there with so many others. What impressed me the most though was about how easy the whole system was to implement and use on a daily basis. 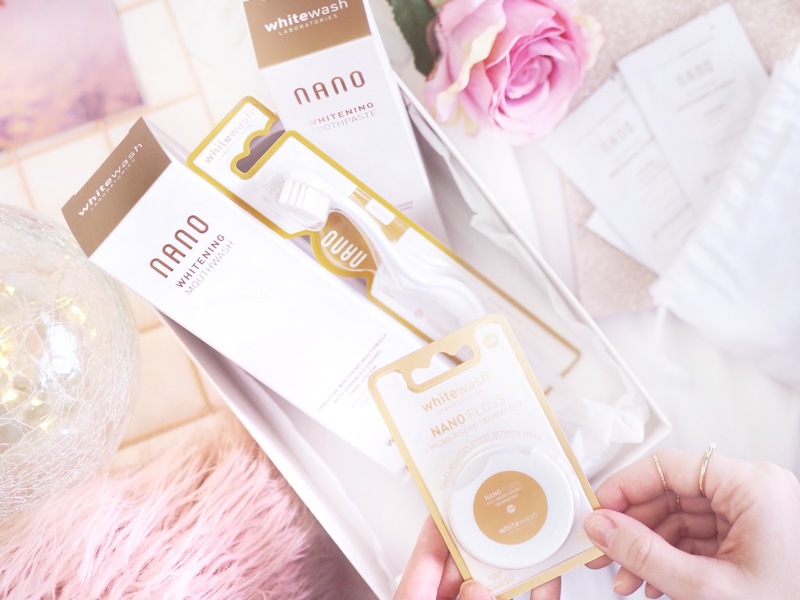 Far from a chore or being intrusive, by using both the Daily Whitening Kit and the Nano Intensive Whitening Kit I’ve been able to easily slot teeth whitening into my everyday routine with no real extra time needed on top of my existing wash/brush/floss routine. 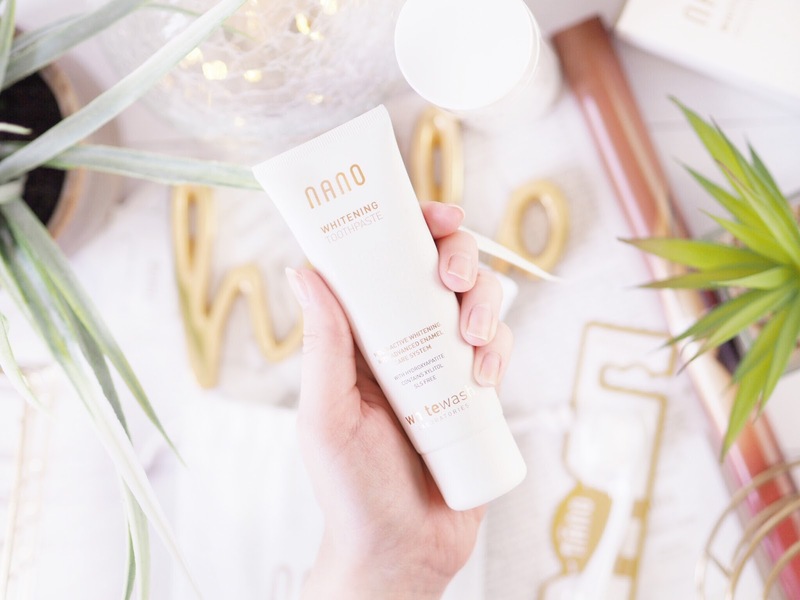 With two children, a blog to run and a household to maintain, I need products that don’t demand a huge time commitment, but that still deliver high results, so for me the Nano range was without doubt the right one. 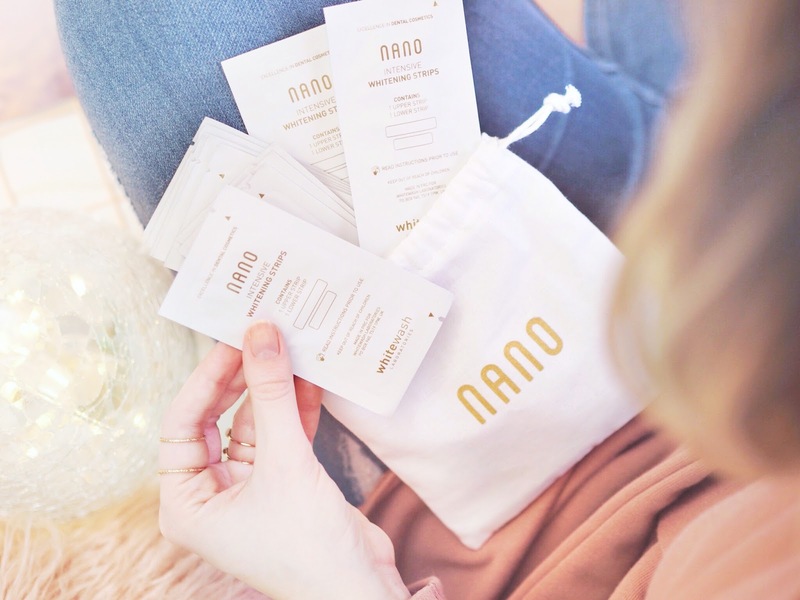 Well starting with the Nano Daily Whitening Kit, you just remove your existing products from your bathroom shelf and replace with the ones included in the set. You get a toothbrush, toothpaste, floss and mouthwash. So literally throw out your old ones – out with the old and in with the new. That’s the first step, pretty easy huh?! Then twice a day, as you would usually, partake in your teeth cleaning routine. Starting with the floss (by the way, in the kit you get to choose the most relevant floss for you) you just buff away anything in between your teeth to create a clean that removes more plaque and overall just creates a much cleaner feeling in the mouth. Flossing honestly makes all the difference to not only how my teeth feel, but how much better they look. After this, I move on to brushing. 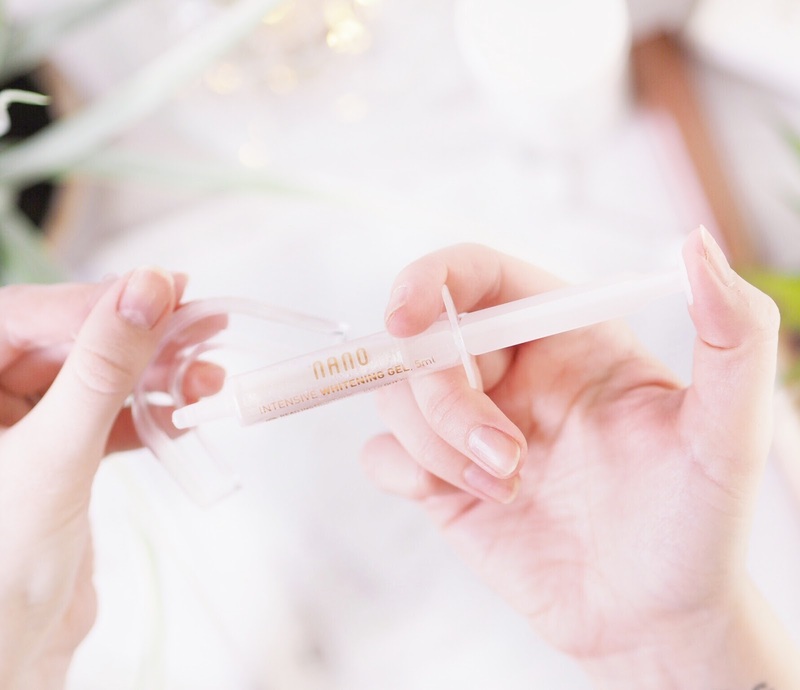 I particularly love the Nano Toothbrush because it’s got a really sturdy head and according to their website it works to remove up to 35% more stains (and that’s clinically proven.) For me on a daily basis though, it’s nice to use and good at doing it’s job. 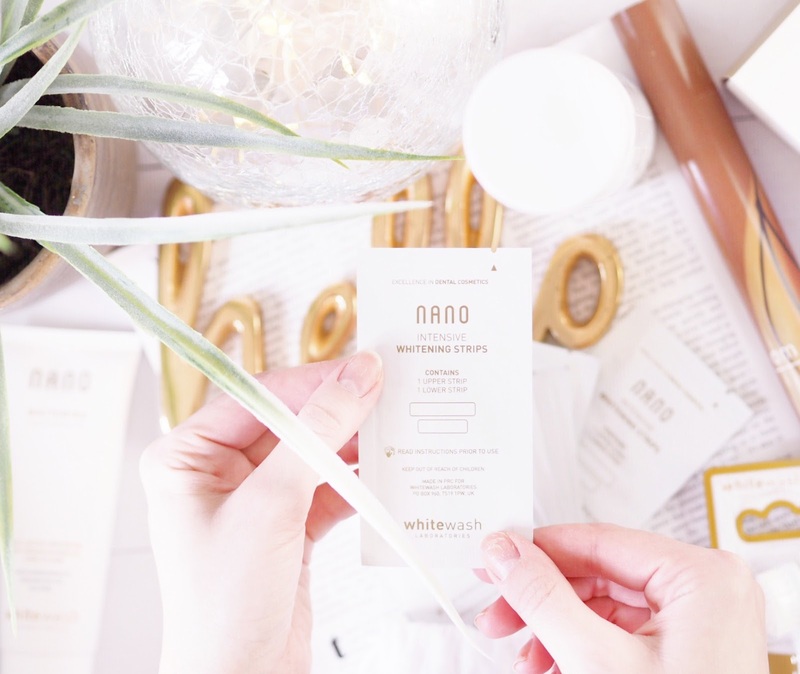 With the Nano Toothpaste, this is where you’re going to notice the first taste of the product. I am not a fan of the the way whitening products taste in the mouth but I love these! They still have an almost minty/fresh taste, and the whitening element isn’t overpowering and it doesn’t leave a bad or metallic taste in the mouth afterwards. This is the key thing for me. I can’t use something that tastes awful but the Nano products are completely non offensive in taste and scent. Following this you use the mouthwash, which also has a nice taste, and a minty edge for fresh breath – the key to a good mouthwash! I really like this as I feel like I’ve been to the dentist after using it as my mouth feels so fresh. Overall flossing for a few minutes, brushing for at least two and then washing out with mouthwash takes about 5 minutes altogether. Five minutes is the same as your normal products but it’s going to give you those whiter teeth you really want – pretty cool for no extra time investment right? For me the biggest thing I noticed firstly was how much cleaner my whole mouth felt. 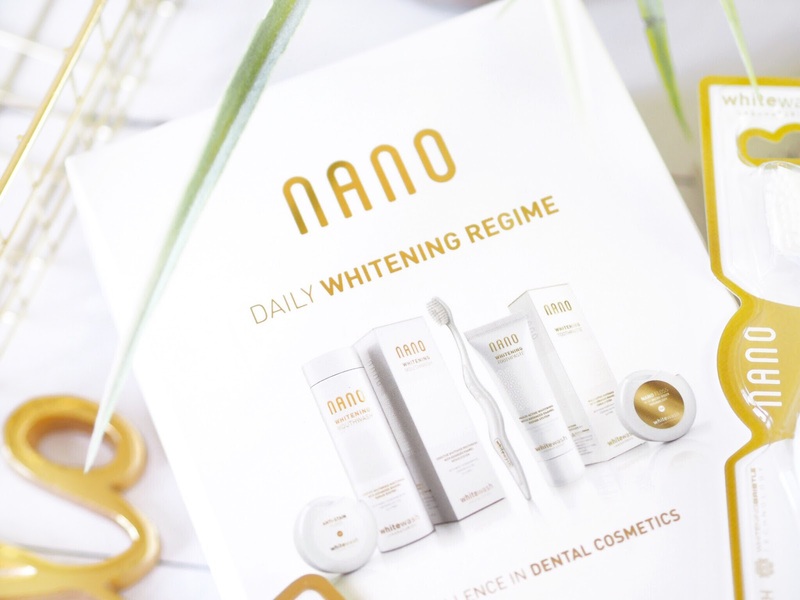 I have quite a good oral health routine anyway, but just switching to the Nano range really gave me a sense that I was giving my teeth a deeper clean. A fresher feeling mouth instantly made me feel better and more confidence about my teeth. 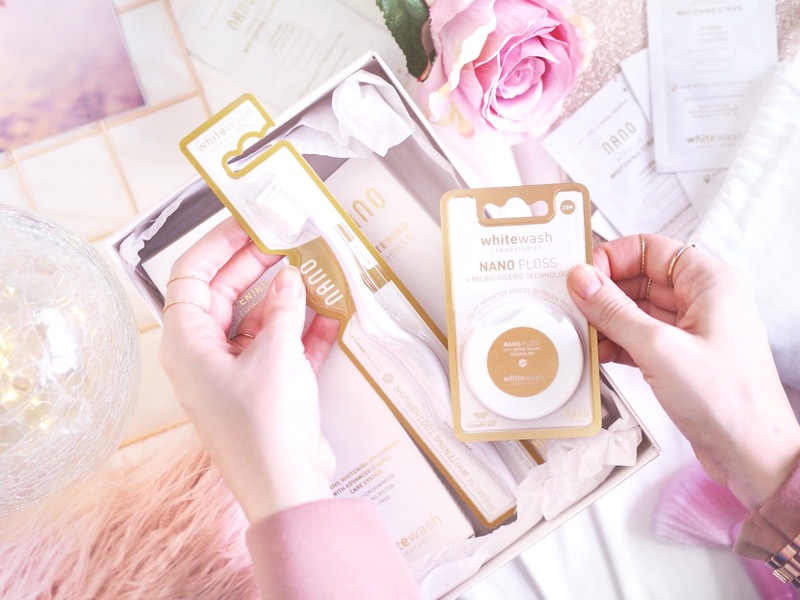 Whitening wise, I’ve been using mine at the same time as my Nano Intensive Whitening Kit and together that’s where I’ve seen the best results…. 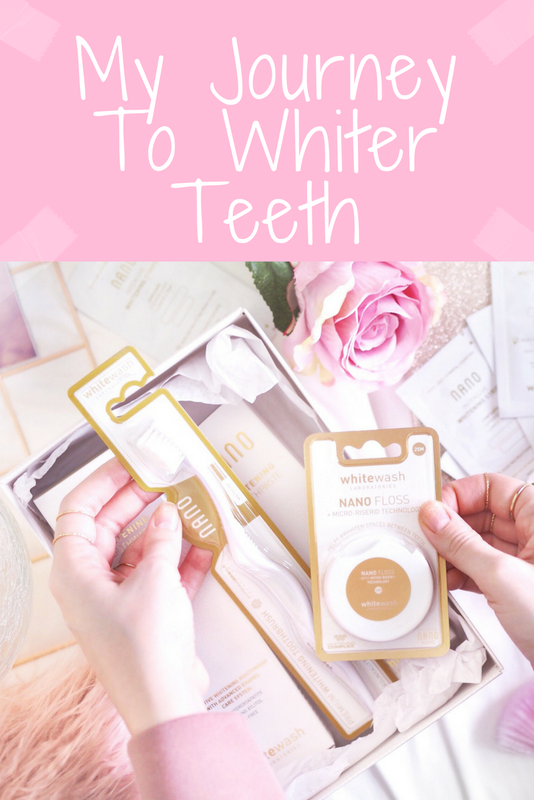 How do you use the Intensive Whitening Kit? This is the nifty bit really. The Nano Intensive Whitening Kit contains a two week supply of whitening strips. In each pack you get a set for your upper teeth and one for your bottom teeth. Applied for one hour each day these really aren’t going to hinder your day-to-day jobs when on. 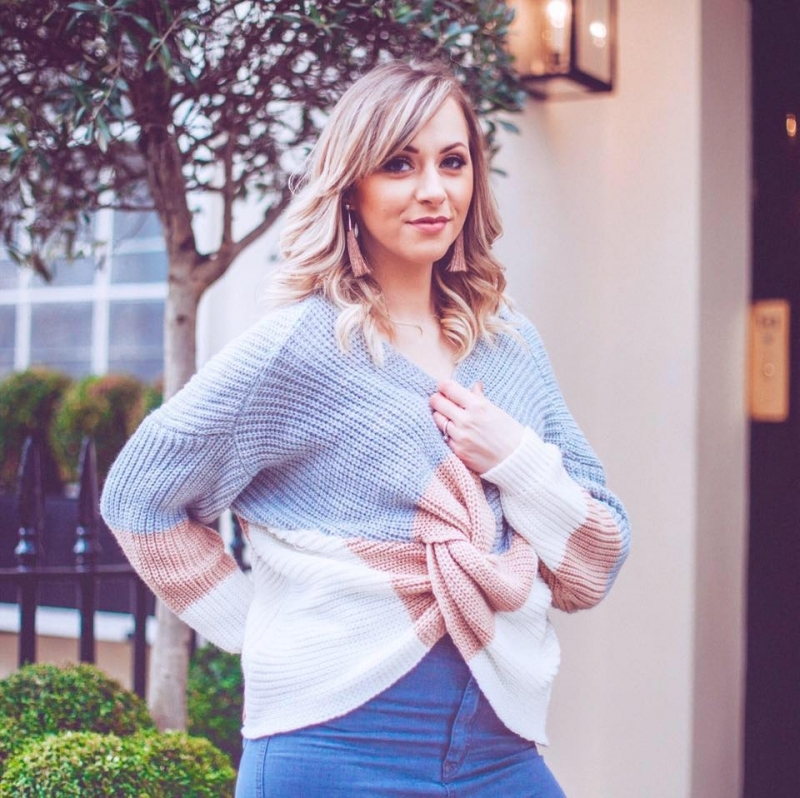 I sit with mine on first thing in the mornings as I do my blog admin, or while I’m writing a blog post and I sometimes nearly forget I’ve got them on – thankfully I always time myself and after one hour, whip them off. You then use the accompanying trays with the Whitening Gel, and again, you can do your normal everyday jobs while doing this. Did my teeth get whiter? Without a doubt I saw a big difference after just my first day. Considering Nano say you can see up to 3.6 shades whiter after one application, I was expecting a difference, but even I was shocked by just how much whiter they looked. I spent a good few minutes pulling weird faces in the mirror and inspecting them to make sure I wasn’t imagining it! 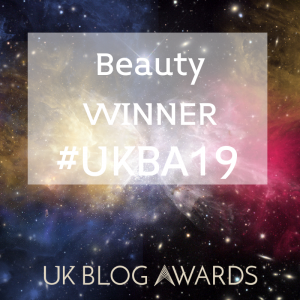 I wasn’t – my teeth were noticeable lighter and even my partner commented on them when he came home that night – without even knowing I’d used the kit. That was all the proof I needed to continue the system. Now I’ve finished my two week supply I am thrilled with the results. I have seen a real difference in my teeth – enough to finally take some open-mouthed selfies this week, which is rare for me! This alone should be indicative of just how effective the Nano products are for home whitening. If I’d have known I could get whiter and brighter teeth from home, on this level, I wouldn’t have waited so long to do it. For more information, visit the WhiteWash Laboratories Nano website. This is a sponsored post in collaboration with WhiteWash Laboratories but as ever all opinions are entirely my own. Please refer to my Disclaimer page for more details. 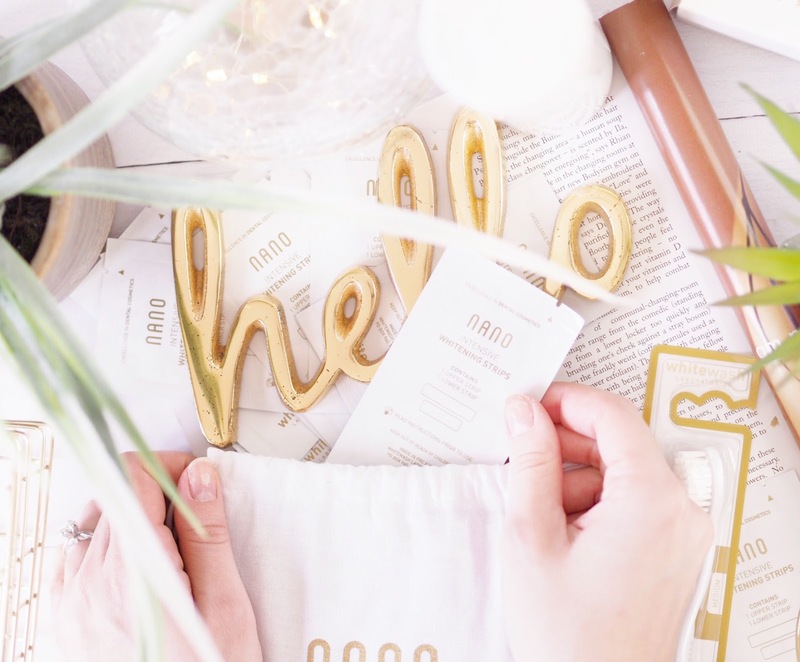 Next Post Happy First Birthday Roccabox!